Posted on Сентябрь 28, 2016 by Татьяна Н.
предположительность – Я купил бы…. желательность – Я хотел бы…. Сначала рассмотрим маловероятные условия, относящиеся к настоящему или будущему времени. Это условные предложения второго типа или Second Conditional. ПРИМЕР. Я пошел бы гулять, если была бы хорошая погода. Это предложение относится к настоящему или будущему времен (можно подставить слова – сегодня, завтра). В момент речи оно нереально, но при определенных условиях еще может совершиться. Например, погода измениться к вечеру. ПРИМЕР. If the weather were good, I would go for a walk. Вместо would можно употреблять could, should, might (по смыслу). СОВЕТ. Выучите небольшой диалог, чтобы запомнить какие формы глагола, употребляются в Second Conditional. — What would you do if you had a boat? — I would sail in it, of course. — Where would you sail? — I would sail across the Atlantic if my boat were big enough. — What would you do if your parents didn’t let you sail? — I would run away from home, I suppose. ПЕРЕВОД -Чтобы ты делал, если бы у тебя была лодка? -Я бы в ней поплыл. -Куда бы ты поплыл? -Если бы моя лодка была большая, я бы поплыл через Атлантический океан. -Но чтобы ты сделал, если бы твои родители не разрешили тебе плыть? -Полагаю, я бы убежал из дому. Это вся теория. Теперь выполните упражнения на Second Conditional. Упражнение 1. Переведите с английского. If it didn’t rain, we would go for a walk. If we had a camera, we could take pictures of the beauti­ful scenery. If there were any sugar left, we should not have to go to the shop. If I knew him, I should ask his advice. If you did not have a toothache, you would enjoy the party. If you were not so absent-mind­ed, you would not make so many mistakes. If you rang me up, I should know you were in trouble. If you watched the cat, it wouldn’t eat the fish. If it were not so late, we would go to see them. If I were you, I would read the book. Упражнение 2. Скажите, что упоминаемое действие было бы выполнено, если бы было выполнено условие. Example. If I have time, I will do it. – If I had time, I would do it. If I work hard, I will pass the exams. If there is hot water, I’ll have a bath. If you get up early, you’ll be in time. If I have a lot of money, I will go on a trip round the world. If I have a lot of time, I will take music lessons. If I … (be) you, I … (write) to her. If I … (be) taller, I … (play) in a basketball team. If you … (stay) longer, you … (meet) my parents. If she … (not eat) so much, she … (be) slimmer. If he … (not see) them, he … (not know) the truth. What … you … (do) if you …(see) him? What … you … (do) if you …(have) million dollars? If they … (have) million dollars, they … (travel) around the world. What … you … (do) if you …(lose) your key? If I … (lose) my key, I … (call) my parents. Теперь рассмотрим невероятные (невыполнимые) условия, относящиеся к прошедшему времени. Это условные предложения третьего типа или Third Conditional ПРИМЕР. Если бы вчера была хорошая погода, я пошел бы гулять. Предложение относится к прошлому и поэтому является невыполнимым (невероятным) условием. Действие уже не может совершиться – возможность упущена. If it hadn’t rained yesterday, we would have gone for a walk. If we had had a camera during our trip to the USA, we could have taken pictures of the beauti­ful scenery. If there hadn’t been any sugar left, we would not have gone to the shop late at night. If you had not had a toothache last night, you would have enjoyed the party. If you had not been so absent-mind­ed at the last lesson, you would not have made so many mistakes in your test. If you had rung me up yesterday, I should have known you were in trouble. If you had watched the cat, it wouldn’t have eaten the fish. If it hadn’t been so late, we would have gone to see them. If I had had more time, I would have done the test better. If you hadn’t left the child alone, she would have broken the vase. Упражнение 2. Скажите, что если бы упоминаемое условие было бы выполнено вчера, то действие было выполнено. Example. If I had time, I would do it. – If I had had time yesterday (last year), I would have done it. If I worked hard, I would pass the exams. If there were any hot water, I would have a bath. If you got up early, you would be in time. If I had a lot of money, I would go on a trip round the world. If I had a lot of time, I would take music lessons. If he hadn’t broken his bicycle, he would … (go) to the country. If I hadn’t had a bad headache yesterday, I could … (come) to see you. If the ship … (not sail) near the coast, it would not have struck a rock. If he … (be) in town, he would have been present at our meeting. If the road … (not be) so slippery, I … (not fall) and hurt my leg. If they .. (make) a fire, the wolves … (run) away. If I … (expect) my friend to come, I … (not go) to the cinema. If I … (have) a dictionary, I … (translate) the article yesterday. If we … (get) a letter from him, we … (not worry). If she … (come) home late last night, her father … (be) angry. На этом еще не все! Конечно, это не все упражнения на сослагательное наклонение. 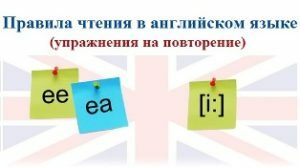 Перейдя по ссылке, вы найдете еще 10 упражнений (Subjunctive Mood) для отработки и закрепления темы «Сослагательное наклонение».